of St. Ann, will pay homage to the late roots singer Jacob Miller at it 2015 staging. 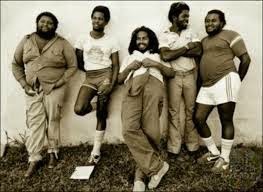 Chief organiser and reggae artiste Tony Rebel, told the Jamaica Observer that the international reggae group Inner Circle whom Jacob Miller was lead singer during the late 1970s will also be a part of the tribute along with Third World band. 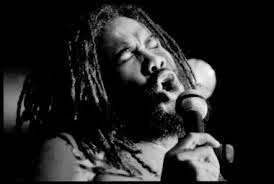 Jacob Miller became a prominent reggae artiste in the late 1960s when he recorded the Studio One hit single Message, but his hit songs Tenement Yard and Chapter A Day that he recorded whilst with Inner City band might be his most popular tracks that people are reminded of him. Jacob Miller died in a car accident at age 27 in 1980. Every year Flames Production stage what has become a staple on the live music events calendar. Rebel Salute, spearheaded by Reggae artiste Tony Rebel and Queen Ifrika celebrate it's 20th Anniversary at the Richmond Estate in Priory, St. Ann. Starting out as a concert to celebrate the birthday of reggae icon Tony Rebel, Rebel Salute has evolved into si much more capturing the adoration of roots reggae lovers worldwide; magnetically pulling thousands of people to areas of Jamaica's South Coast not traditionally famous for live music festivals. It serves a strict vegetarian menu complimented by a diet of cultural roots rap from Reggae's finest. In tandem with this, is the concept of a drug-free, violence-free and non alcoholic event. Combined with the warm hospitality and abundant culture of the Jamaican people.